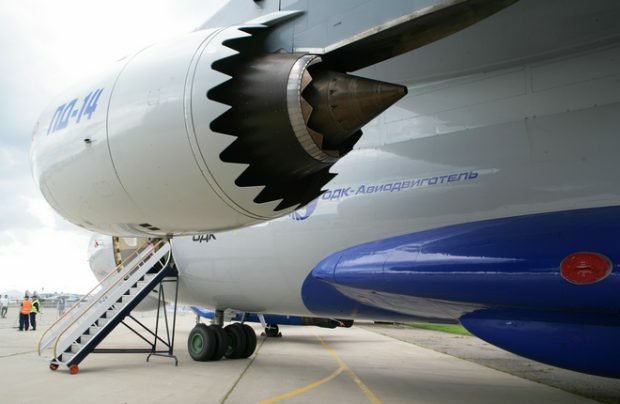 Perm-based UEC-Aviadvigatel (part of UEC, Russia’s United Engine Corporation) is streamlining its efforts to achieve the Russian type certification for its PD-14 turbofan in the coming weeks. The new-generation, high-bypass turbofan engine, which is being designed specifically for Russia’s advanced MC-21 narrow-body, has successfully passed weather testing in ‘classic’ icing conditions. The tests were conducted by the Central Institute of Aviation Engine Construction (known by its Russian acronym TsIAM) and confirmed that the engine is adequately protected from the negative effects of icing conditions and against the ingestion of ice fragments, the institute reports, proving that it conforms to Russia’s AP-33 regulations regarding engine airworthiness. These standards require all aircraft equipment to pass specific adverse weather conditions tests, including icing, to ensure their reliability when exposed to low temperatures and high humidity. The engine’s manufacturer, UEC-Aviadvigatel, plans to win the type certificate for the PD-14 from the national regulator Rosaviatsiya within a fortnight, ahead of supplying three engines to Irkut Corporation before the end of the year. The manufacturer of the MC-21 is anticipating that the new powerplant will soon start flight-testing programme on the aircraft. The PD-14 is the second engine option for the Russian aircraft, as it is initially certificated for the Pratt & Whitney PW1400G-JM engine. European certification for the PD-14 has also been sought, and is due to be finalised by the time the new engine’s serial production is launched in 2019.